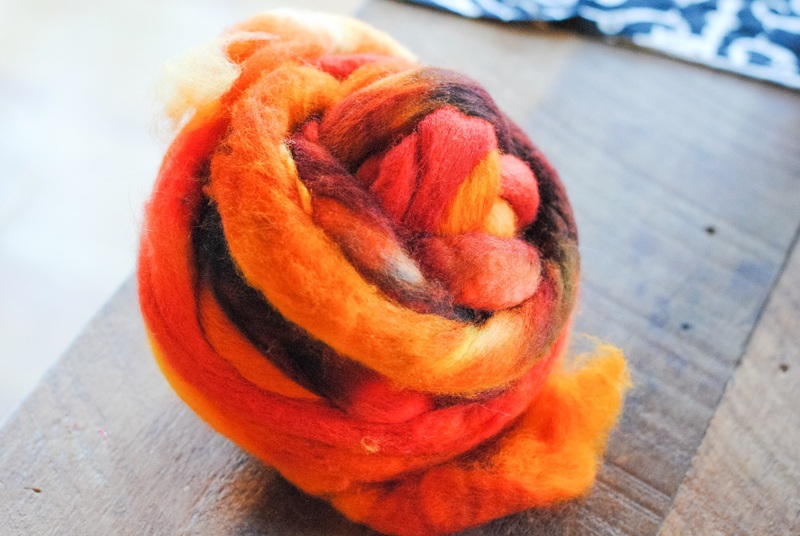 After I bought a bag of wonderful fall-colored roving at Rhinebeck, I could not stop thinking about how I needed to spin it! Though I am still very new at spinning, one of the things I learned is that it makes it easier to keep practicing when you are spinning with fiber that you love. So, caution (and thoughts of saving it for when I am an expert) aside, I jumped in and spun that baby up into three spindles. 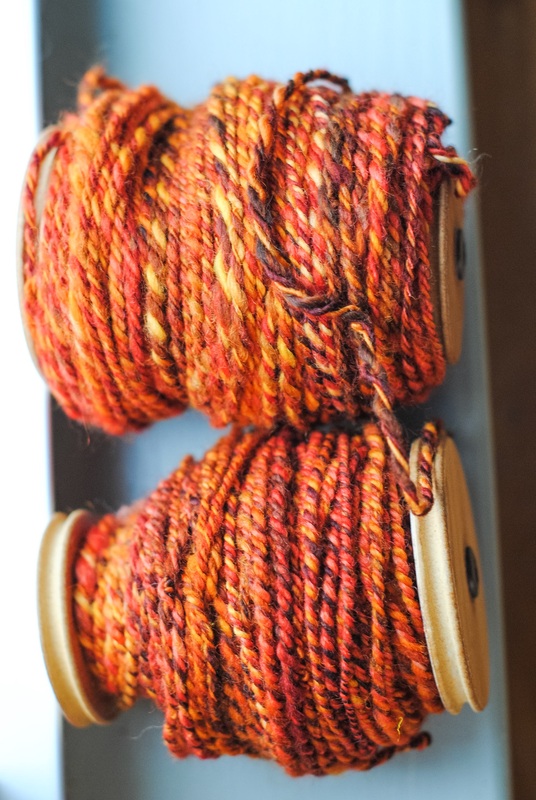 Once I had three spindles of single-strand I couldn’t wait to see how it would look all plied together. Boy, it did NOT disappoint! I am so in love with this yarn I have made! It isn’t a very large amount, but definitely enough for a nice autumn-y cowl. Now I can’t wait to get my wheel going again! 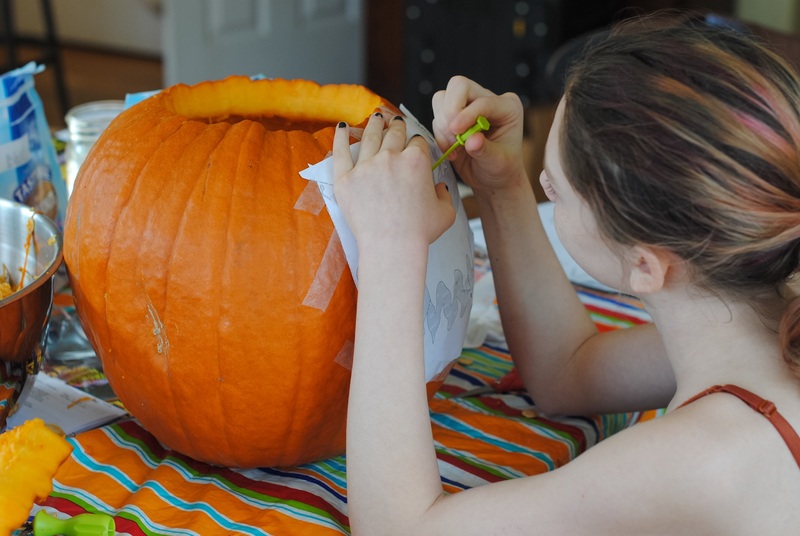 In the meantime, Halloween is very nearly upon us, and the kids kept reminding me of the many things that needed to be done, like pumpkin carving. This year I let Oona do all her own tracing and cutting. The only help I gave was removing the pieces, since it was a bit fiddly for her. They made such a glorious mess. You know who wasn’t complaining about that, though? The pigs! 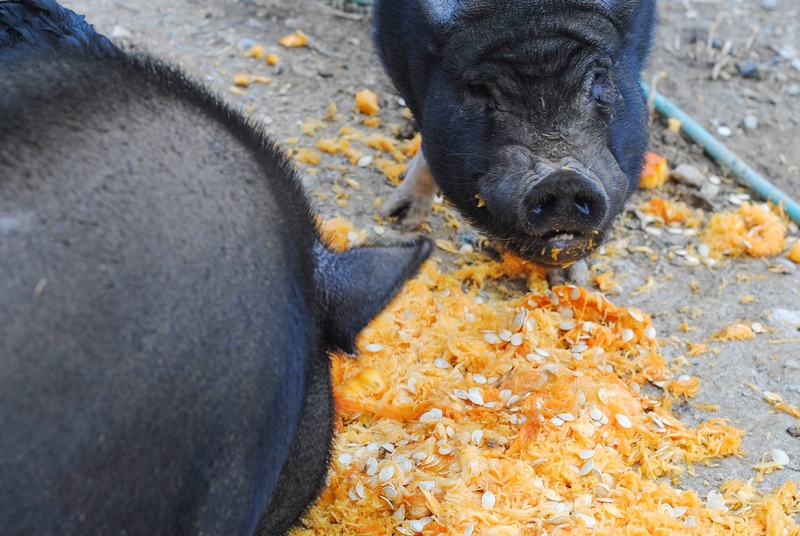 Pumpkin day means it’s time for their annual treat of pumpkin guts. 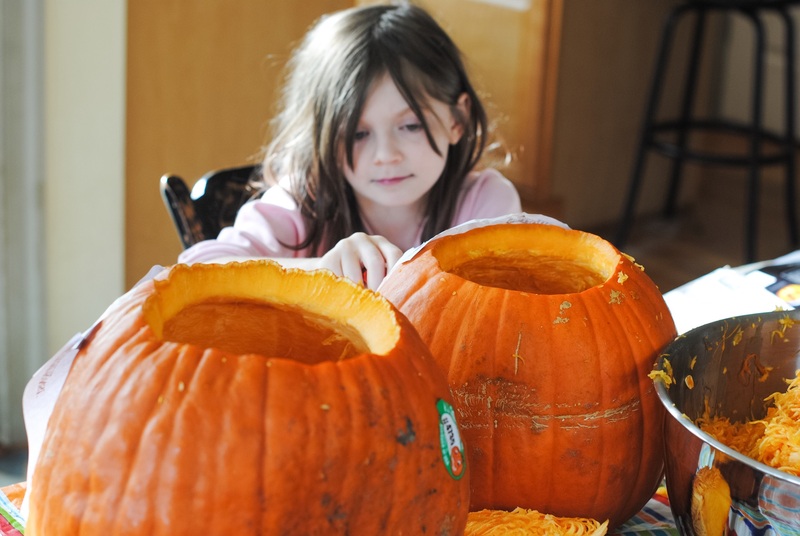 They loooooove pumpkins. 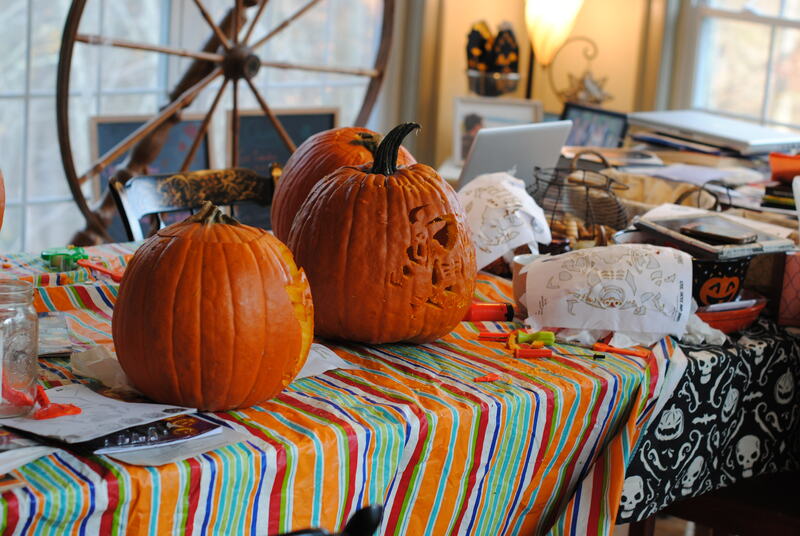 In a few days (before total rotting can set in), they will be given the Jack o’lanterns as well. But for now, we are enjoying our day of handiwork! 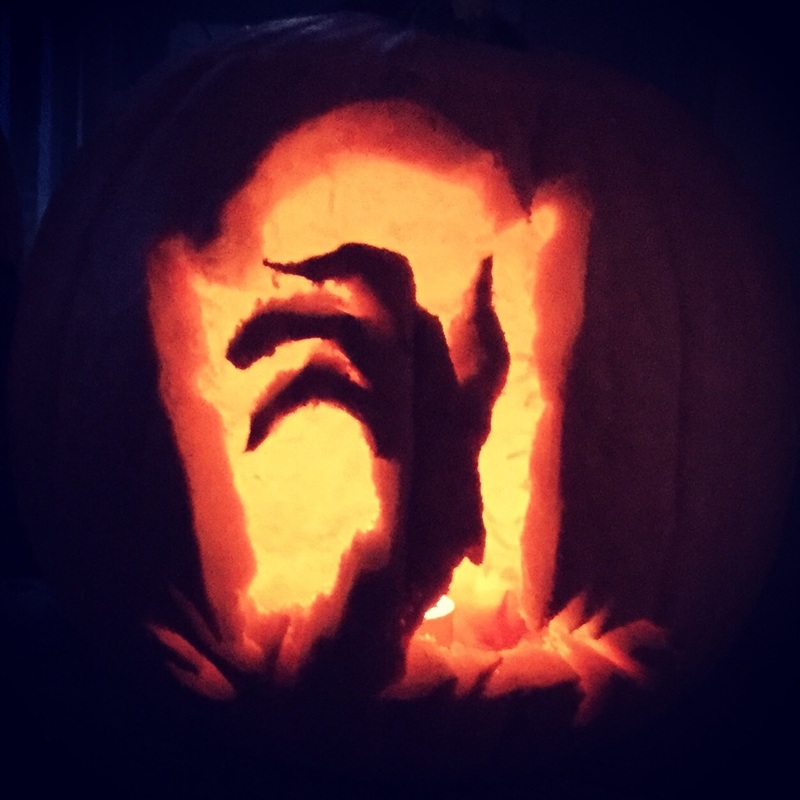 Emily’s Raven, and my “Nightmare Before Christmas” theme. 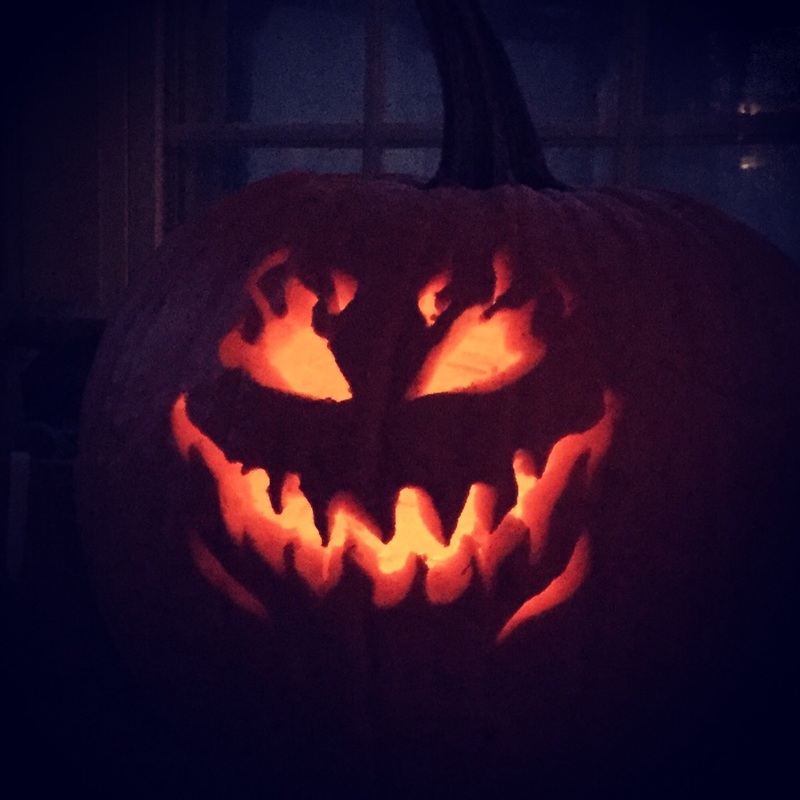 Now that Pumpkin day is accomplished, there is only really Trick or Treating left. Tonight we’ll watch Hocus Pocus and bask in the last remaining glorious bit of October before it is done. This entry was posted in Uncategorized and tagged Knitting, Seasons, Spinning. Bookmark the permalink. 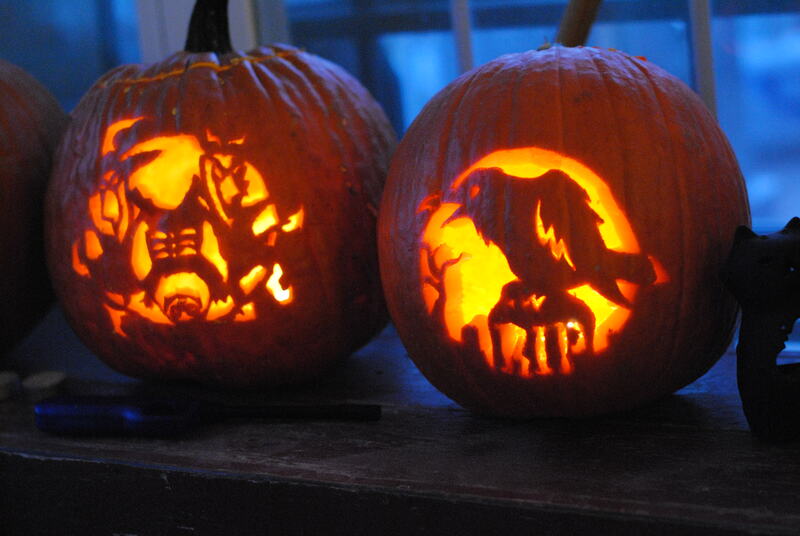 Those pumpkins are great!! I am loving the colors in that yarn, so squishy and great!! So many newer spinners make the mistake of trying to learn on fiber that just doesn’t excite them. No matter your skill level it is not wasted! 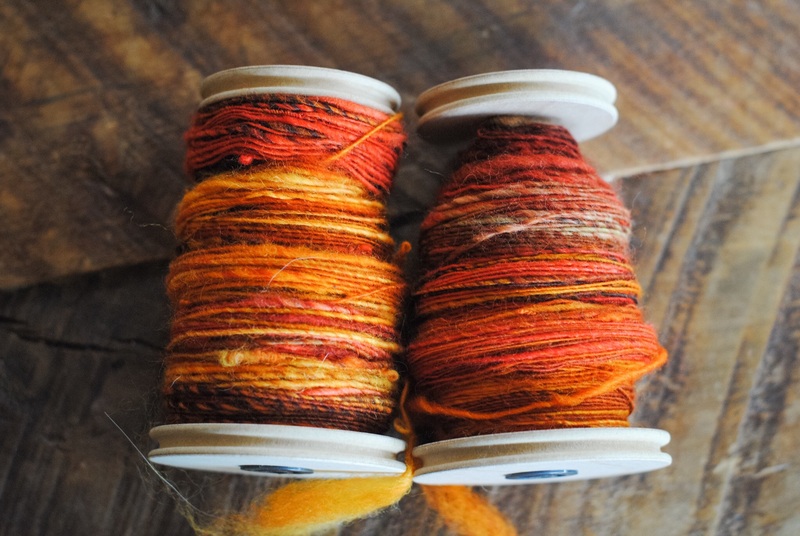 (These days intentionally over twisted and lumpy yarn goes for big bucks!) Plus there is always more beautiful stuff out there. Good for you! And yours is lovely.